These pictures are from the main exhibits hall of the convention. 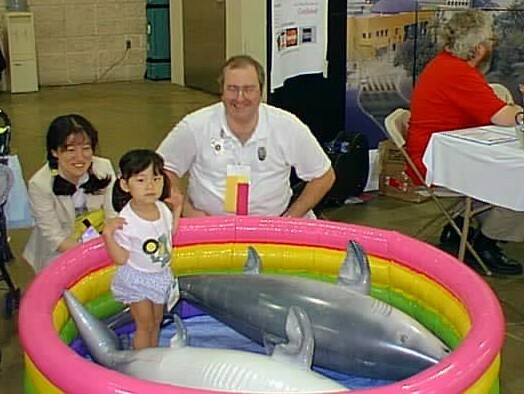 Kevin entertains a young Japanese girl in the ConJosé shark pool. John Mansfield tries to pretend he's not there. 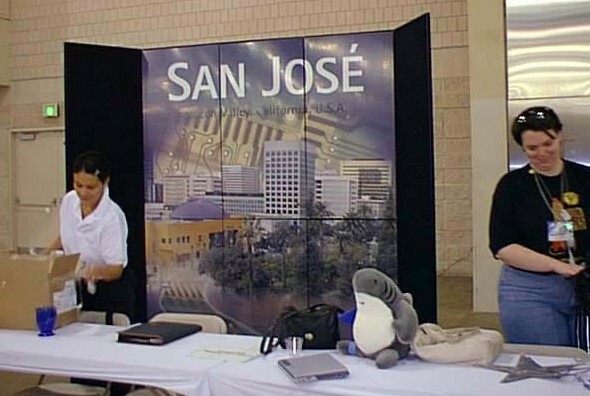 Sandra Childress, Christine from the San José Convention and Visitors' Bureau and Hugo D. Shark set up the ConJosé table. From the costume display, the "Huntress" costume worn by Jeanette Healey at Bucconeer. "Nightmare" by Laurel Cunningham Hill, airbursh work by Joe Niebala. 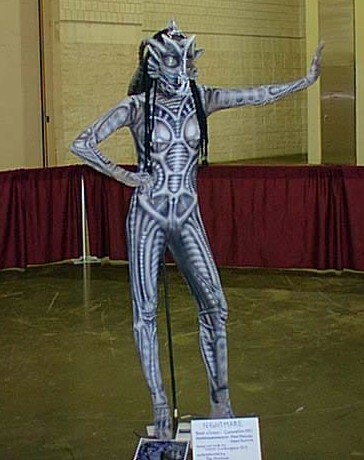 This one won Best in Show at the 1997 CostumeCon. 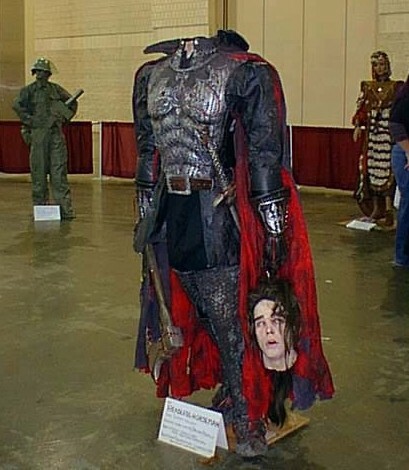 The "Headless Horeseman" from the film, Sleepy Hollow. 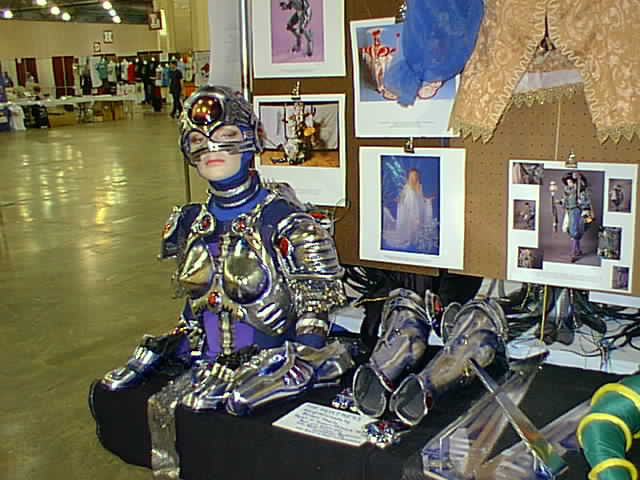 Another Brian Healey masterpiece, this time a Best in Show winner at Arisia 2000.